This topic contains 0 replies, has 1 voice, and was last updated by isabella 1 year, 10 months ago. I am a student researcher who is working on reducing some GMOS nod and shuffle data. I read through the cookbook and several other scripts and at this time I have a script that runs without error and produces output, however that output does not look correct. The biggest concern is that there appears to be an issue where the negative and positive spectra are offset in the y direction (after gnscombine) I have tried different ways to remedy this, such as by applying a y-offset is gsreduce, but nothing seems to correct this error uniformly across all the frames. Also, the final output appears to be shifted too high, could this be a problem with the cut? I did not manually cut, I turned fl_cut+. 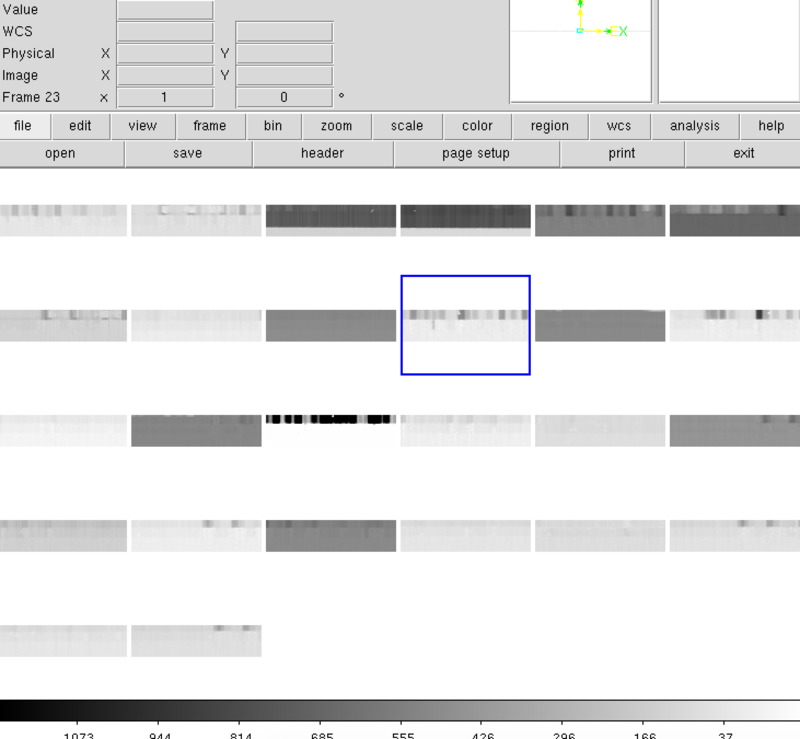 I also did specify a ref image during gsreduce which was the flat combined image. Does anyone have any advice? I have attached a picture of the output of the entire script.